Will & I have reached a number of milestones in the past year. We have both turned 30 (well, Will does that tomorrow), leaving behind the years of all our friends getting married and entering the years where all our friends are having children or climbing career ladders. We’re both finishing school – I finished a degree last May, and he’s finishing one at the end of this coming fall semester. We’ve moved to a larger apartment and begun talks with a financial consultant about our current and future financial planning, including retirement and beyond. Suddenly, we feel as though we are being tossed into a new stage of life, ready or not. With these milestones comes a series of decisions requiring discernment and thoughtfulness in the coming months. And with those decisions, transitions and changes will follow. Transitions and changes bring with them excitement, anticipation, hopefulness. But they can also bring heartache, sadness, and struggle. Some transitions and changes bring all of these at one time. As I ponder the weight of my own transitions, contemplating the changes that life will inevitably bring us in the coming months and years, I sometimes forget that all life is a series of changes and transitions that come with a myriad of good and bad components. And we can choose to dwell on the negative and hard parts of change, or we can seek to find the “new normal,” the peace, or even the joy in these movements toward new life seasons. Our natural world is made of seasons that bring hope of new life in spring but with the onslaught of storms; joys of snow in winter but with the death of the lush vegetation around us; beautiful colors of fall but with colder, darker days; brightness of summer sun but with scorching heat and drought. After a particularly hot & miserable week, I spent some time on my porch one late evening contemplating the cooler evening air, and the appreciation I had for summertime grew, despite the miserably hot week. I recognized the brilliance of red Mars and cool, blue Venus. I marveled at the large, bright moon. I breathed deeply in the freshly mown lawn and growing sweet basil. I listened to the quiet space of midnight with no cars, no people – just a gentle hum of crickets. …And I realized that this is the stuff life is made of – and when the breezes of fall come, and my basil plants can no longer thrive outside, I will find new ways to enjoy a new season, drinking in all that is good about this new place, this new change. Are you in a change of season? How can we stop to marvel at our new seasons of life so as to appreciate change? 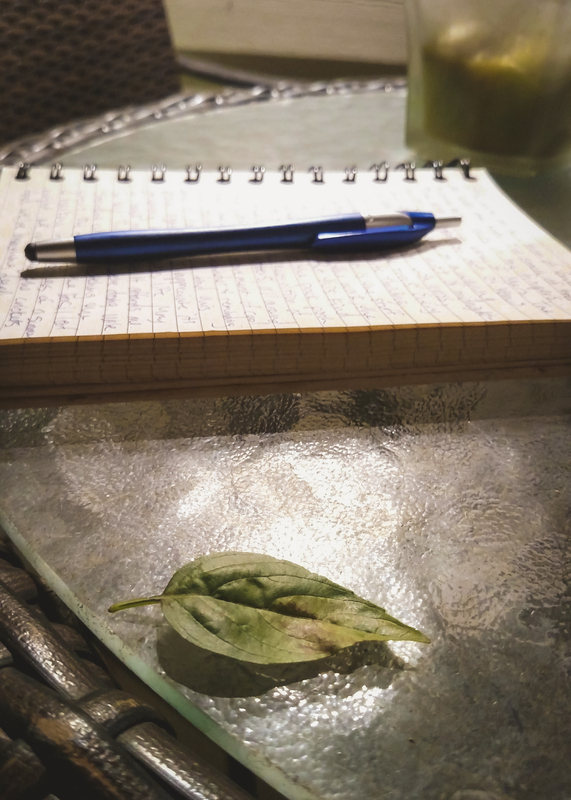 Let’s stop and smell the basil this summer evenings, and let’s join others on their journeys, even if their transitions may not be anything like our own. We are not alone as the seasons change, and with time, we can come to truly appreciate even the hardest transitions of our lives as we embrace the new season around us. Book Preview & Excerpt – Learn About My Book! Copyright © 2019 REV. LIBBY MAE GRAMMER | Designed by Theme Fashion.